for these are mine, my own United States! For this is my country! [I am a first generation American. My father was born in Ireland and came to America as a teen. My mother was born in Mexico, but came here within a year of birth and was raised here in America. My parents were divorced and I have no idea if my dad ever became a U.S. citizen or not. My mother did not. She is still a Mexican national. I was born here in the United States, as were my sister and brother. I volunteered for four years of active duty in the Army near the end of the Vietnam Era. I also served in the Army Reserves when my active duty was completed. Including my civilian time as a Federal employee, I have over 26 years in service to my country. Two days ago, on Halloween, the world lost one of the true gentlemen of sports history: Willie Lee McCovey. Nicknamed “Mac”, “Big Mac”, and (my personal favorite) “Stretch”, McCovey was a first baseman who defined the position for me as a child. He played for the San Francisco Giants of Major League Baseball for 19 of his 22 seasons in the majors. My earliest memory of ANY sports event was attending a baseball game as a youth at Candlestick Park and seeing McCovey, Willie Mays, and Juan Marichal in person. My mom and I sat high in the upper deck, underneath the shell which used to line the stadium. 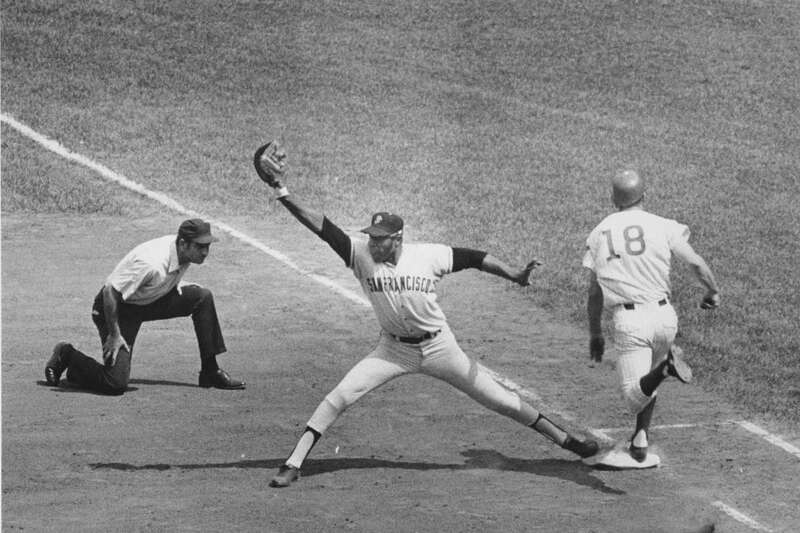 I don’t recall if the Giants won the game or much else about the game except – Marichal’s high-kick pitching delivery style, Mays hit a home run and “Stretch” made a terrific catch at first base. It wasn’t a high catch (as shown in the image above). It was low, near the ground and McCovey had to practically do the splits to make the catch. None of the above speaks to the true greatness of the man, himself. It is better to think of Willie McCovey this way: his last active year was 1980. That same year, the Giants retired his jersey number (44) and began awarding “The Willie Mac Award” which is given to the team’s most inspirational player that year, as voted on by the team’s players, coaches, training staff, and (just recently included) fans. Finally, in 1986, in his first year of eligibility, Willie McCovey was voted into the Major League Baseball Hall of Fame. 2016 Why Do Republicans Always Seem To Be Angry? 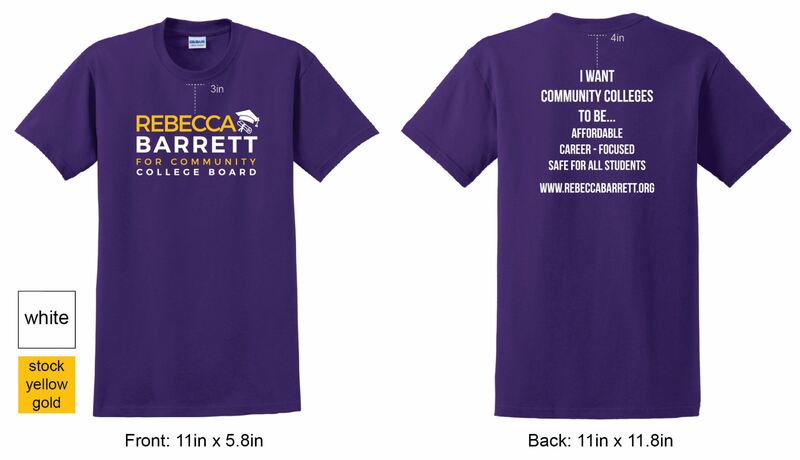 The above is some campaign information about my daughter who is running to become a member of the local Community College Board. She wants to give back to our community and try to make a positive impact in the lives of other people. (And, we are very proud of her!) October 22nd is the last day to register to vote in California for the election to be held on November 6th. Please register to vote and then get out and vote in the up-coming elections and remember to look all the way down the ballot. Oh, yeah, today is her Birthday! Happy BD, Princes!! 2012 National League Western Division Champions!!! 2011 What Kind Of Work Do You Do? I am now down “41/48”. As in, 41lbs down from my fasting start weight: 373lbs, and 48lbs down from my highest weight ever (two days before I started the fast): 380lbs. Today’s loss is a 2lbs loss, down from 334lbs yesterday. The difference between humans and machines is our singular (for now) ability to interpret data and decide to believe / accept it or not. This morning, my scale is bouncing between 329 and 330lbs. This is four or five pounds less than the the previous day’s weight. I simply do not believe that this far into a fast it is possible to lose 4 to 5lbs in a single day without most of it being water weight. As such, I’m recording the loss for today as only 2lbs. I will make an extra effort to ensure I stay hydrated today / tonight, and see what the scale says tomorrow. IF it still says I’m down that much weight, then fair enough, otherwise I’ll feel vindicated in “suspecting” something was just funny with today’s weight. Other news: Not a lot. The day has been grey, overcast, cool and windy. Not conducive to an outdoor swim, but I went anyway. I have to admit I am enjoying swimming a little more each day. 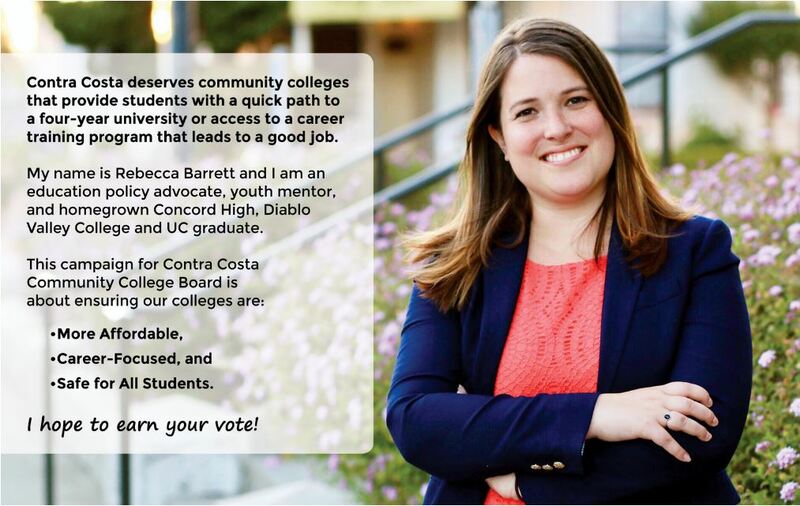 Oh, yeah… My oldest is running for an elective office in November. Today I went an ordered a few t-shirts for the family (and a couple of friends). Hopefully, everyone will get a kick out of them when we host our house party for her campaign. LOL!! Tomorrow I take Hil for her surgery on her skin cancer. They’ve said it’s very minor and there is nothing to worry about, but I’ll be the judge of that after it’s done and dusted. It will be at least a half day affair and starts at 6:00am. Meanwhile, I will be sleeping uncomfortably in the waiting room… Any and all prayers are gratefully accepted. I am now down “34/41”. As in, 34lbs down from my fasting start weight: 373lbs, and 41lbs down from my highest weight ever (two days before I started the fast): 380lbs. Today’s loss is a 2lb loss, down from 341lbs yesterday. My son (James) moved out of the house about seven years ago. I “inherited” his bedroom. Over the course of time I’ve turned it into another library storage room for my book collection and I’ve (slowly, slowly) added bits and pieces of workout equipment to make it into a mini-gym. My wife has been in constant battle with me over this as she believes the room is her personal rent-a-space. I routinely go in and find she’s moved something into “storage”. I then have to find some way to organize the new items so I can still walk around and use the room as I want to. LOL. It’s a constant battle which I slowly win as she doesn’t care what I do with the things as long as she doesn’t have to see or dust them anymore. After the step-ups, I hopped up on “the rack” and gave it a flip for about five minutes. I got “into” inversion therapy (“hanging”) back in the early 1980’s. I had a partially slipped disc in my lower back when I was in high school and I spent a good deal of time in pain, which got substantially worse (severe, chronic and constant) when I left the Army and started getting out of shape. I heard about hanging on TV one evening and I felt desperate enough to try anything (but surgery). I went to a store which offered them. I tried one. Within five minutes my back “popped” and it felt like an exploding nova in the base of my spine. And then, nothing… Absolutely, no pain for the first time in close to four or five years. I got off the demo machine, handed the man my plastic and I’ve owned and used an inversion table ever since. Sometimes frequently. Most times only occasionally (once or twice a year). Either way, I’ve carried my tables to Europe and back again when we returned. And, yes, I am a avid proponent, advocate, champion (etc.) for inversion / hanging. Apologies to anyone who came expecting to read about my fast. Sometimes my thoughts wander… To tell the truth, other than being a bit tired, it’s been an easy (boring) day – fast wise. And I think that’s a good thing! 2015 Did You Pass On It? The World Cup is upon us and today my son and I watched England defeat Tunisia by the score of 2 to 1 in both teams opening game of group play. It probably should have been 5 or 6 to 1, but England missed on what appeared to be multiple “easy” chances in the first half. (Easy to my eyes, anyway.) Still, a win is a win. Three points to England! The teams which win their first game in group play, go on to advance to the next stage about 60% of the time… Fingers crossed!! Earlier in the week (Tuesday & Wednesday), I went in to the doctor’s office for a “nuclear” (Adenosine / Thallium Study) stress test on my heart. I suffer from AFib. Anyway, yesterday I met with my cardiologist for the results. I am all clear with no blockages and at all. Yippie!! This was my second nuclear test in five years. (I’ve also taken the standard treadmill test twice in the last 10 years.) The last one was the same results. I was having (again) radiant pain in my left chest / shoulder / arm / elbow / wrist / hand, so the test was just to be on the safe side and make sure nothing had changed since the last test. Same results as last time, so that’s even better. 2011 Long Live The King!